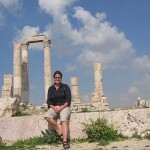 Feedback on Jordan Dynamic- a 9 day adventure holiday. “On touching down in Amman my perception of Jordon – somewhat naively – was one dominated by deserts, the Rose City and bobbing up and down in the Dead Sea. Granted, some activity would be needed to conquer these well known tourist sites, but on discovering that I was going on an “Active Jordon” trip I certainly felt some trepidation: was I going to be able to master cycling, hiking and camel riding in two short weeks? On reflection this was the best way to get a glimpse into the heart of Jordon: while ensuring that we did not miss the more well known tourist attractions the trip took us off the beaten track and exposed us to different aspects of the country and Jordanian life. The trip was all go from the begining. We toured the Roman city of Jesrah before taking to our bikes in order to cycle through the northern part of the Jordan Valley with its fertile fields and ancient olive trees. We then headed to the Dead Sea where – just like in the posters – we were able float around, before heading to the Dana Nature Reserve. Our hike in the Dana Nature Reserve provided a great insight in the huge variety of ecological systems that exist in the area and dashed any remaining thoughts I had about Jordon being all deserts. It was then onto Petra where we were able to marvel at the sheer scale of this city carefully carved into the rock, Petra, however, was full to the brim with tourists, and while it was amazing, it was also fantastic to make our escape to Wadi Rum. I never imagined that a desert could hold so much beauty. The Jebels provided an amazing playground and our host, Salam showed us that life in Wadi Rum was action packed: hiking, rock scrambling, camel riding and not to mention crazy antics by the fire at night. 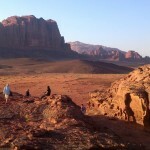 On leaving Wadi Rum we continued our journey south to the Red Sea. I knew the Red Sea was famous for its technicolour marine life: I was not disappointed. Tropical fish and corals were easily spotted during snorkeling excursions during our lazy afternoon on the beach. 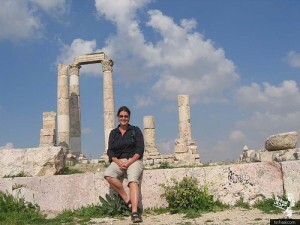 The next morning we motored north back to Amman. As we were travelling during the holy month of Ramadan we had decided to head into the city to experience Iftar (the breaking of the fast). In the late afternoon the city appeared to have come to a standstill as people attempted to make it home for Iftar. The temporary noise and chaos of those finally few hours however were worth it simply to experience the evening meal in a local restaurant. Jordan who? Why? Oh I’ll tell you why! © 2019 Treks and Trails of Jordan. All Rights Reserved.